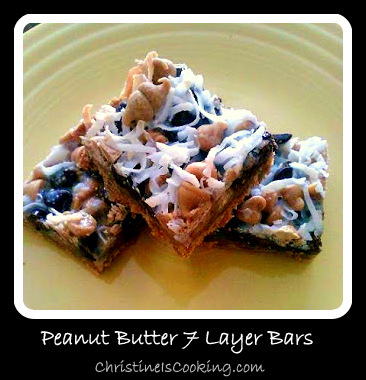 I like traditional seven layer bars, but I find they can be a little too sweet for my tastes. This is my twist on the magic cookie bar. In addition to several other tweeks, it has a thicker graham cracker crust and uses peanut butter chips instead of butterscotch. 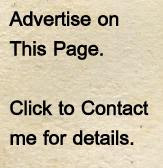 I don't add nuts to mine, but you can if you prefer them. We make these cookies every year at my house. You can make these ahead of time and freeze them if you need to. (1) Preheat oven to 350°F (325°F for a glass baking pan). (3) In small bowl, melt the butter in the microwave. Add the graham cracker crumbs and mix. (4) Press crumb mixture firmly on bottom of 13x9-inch baking pan using your hand. (7) Pour condensed milk evenly over bars. Bake 25 minutes or until lightly browned. Cool and then cut into bars.